FORT LAUDERDALE, Florida. If your home has been damaged due to a natural disaster or due to another reason covered by your insurance policy, you may be in the process of making an insurance claim. You may be asking contractors to give you estimates of repairs or asking for estimates for the cost to rebuild. But what happens when the estimates contractors provide differs from the estimates insurance adjusters are willing to pay? 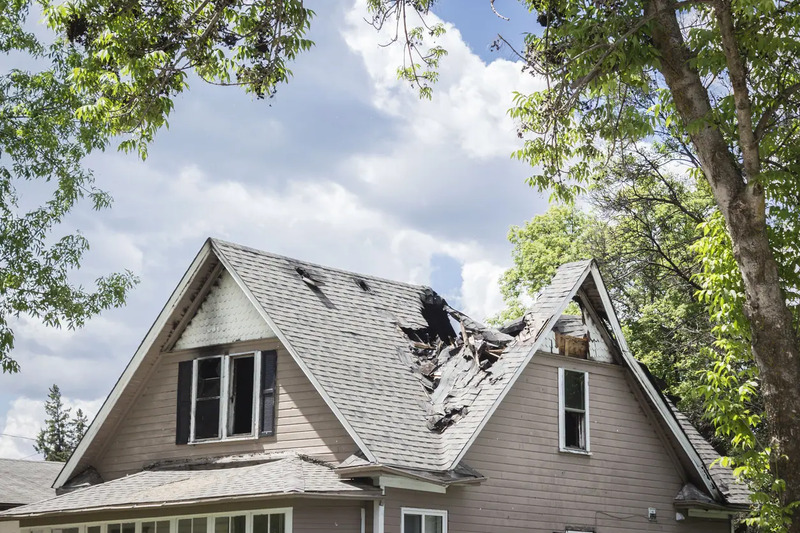 According to United Policyholders, you are entitled to receive a settlement that allows you to restore your home to its pre-damaged condition. One of the biggest challenges will be in documenting your home’s pre-damaged condition to adjusters. For example, an adjuster might not want to offer money to pay 100% for a roof repair if your home was already due for a new roofing job in one year. An adjuster might similarly not want to pay for new windows if your windows already needed repair before the storm hit. However, if you kept your roof and windows repaired and up to date, documenting this to your adjuster can help you get a better settlement. Furthermore, even if they were worn or old but the age or wear was not the reason the particular item was damaged, failed and/or allowed water in, your insurance company may be obligated to replace it. Sometimes code requirements or other factors play a part; if the carrier cannot get you to your pre-loss condition any other accepted way, they may have to replace those items in contention. What are some items you can use to document the condition of your home before it was damaged? If you recently purchased your home, your home inspection might be an excellent source of proof to show that elements of your home were in good condition. Any improvements you made to your home should also be furnished to adjusters to show that you kept things repaired. According to CBS News, adjusters may, and often do, use computer programs to estimate the cost of repairs based on averages in your area. However, if demand has changed in your area, or if costs have increased, these figures may not always be accurate. Getting more than one estimate for your repairs can help you negotiate a higher settlement, in some cases. If your adjuster offers you a lower settlement than contractors are estimating repairs will cost, don’t be afraid to call your adjuster and ask why or call a competent insurance litigation lawyer to get advice. Sometimes your insurance policy might have fine print or exclusions, hold backs for depreciation, some of which may be recoverable and some which may not, and pay attention to deductibles that you may have to meet before receiving payment. In other cases, you might learn that your adjuster doesn’t have key information that could change your settlement amount. If you are having difficulty negotiating a settlement with your insurance adjuster, you may also want to speak to a qualified insurance claims lawyer in Fort Lauderdale, Florida like Leader, Leader, & Zucker, P.L.L.C. Our firm can review your estimates, review your policy, and help you provide the documentation required to help you get the best possible settlement permitted under the law. We can also fight for your interests either inside or outside of court if insurance adjusters are not offering you the fair claim you may deserve. CBS News reports that insurance companies might be quick to send you a check to pay for damages to your home. However, before you cash the check, it is important to make sure that it covers all your costs and that the estimated costs of repairs are accurate. Many homeowners may not be aware that they have the right to return the check and to ask for a higher amount, especially if the initial figure doesn’t cover all the costs covered by the insurance policy. Everything needs to be documented in writing, however to protect your rights. This is where an insurance claims lawyer like Leader, Leader, & Zucker, P.L.L.C. in Fort Lauderdale, Florida can help. Leader, Leader, & Zucker, P.L.L.C.